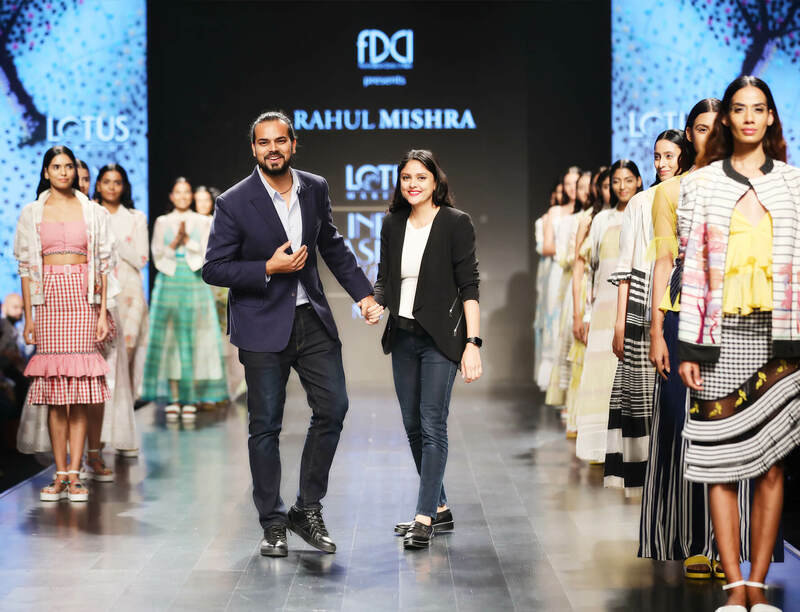 Dia Mirza took a walk down the Delhi ramp while walking for label Ruceru at the Autumn/Winter 2019 FDCI India fashion week. The collection ‘I Am’, has been designed for women who live their lives on their own terms. 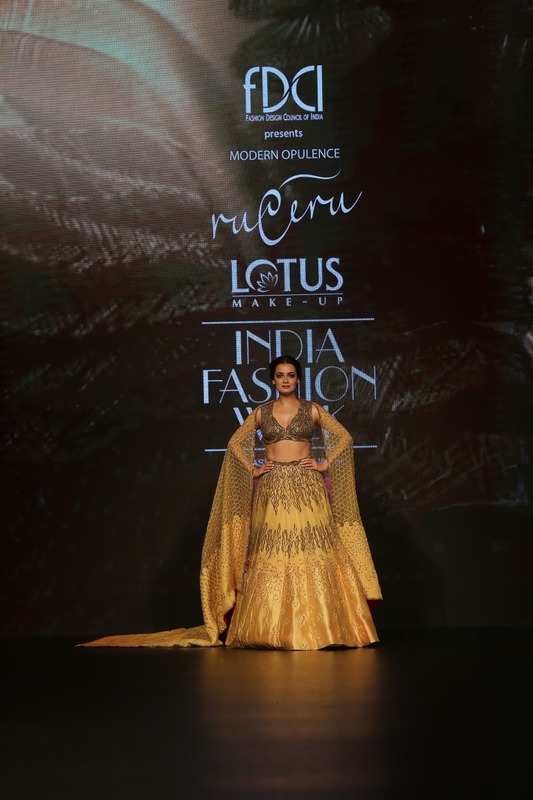 Dia Mirza as the showstopper for Ruceru epitomized the values of the modern woman. 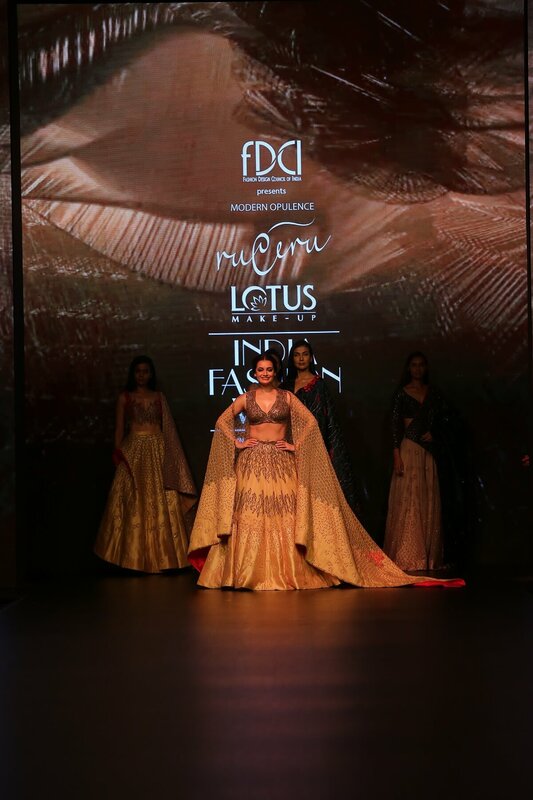 She was the perfect showstopper for ‘IAm’ because not only is she a ravishing beauty, but also a woman of substance. 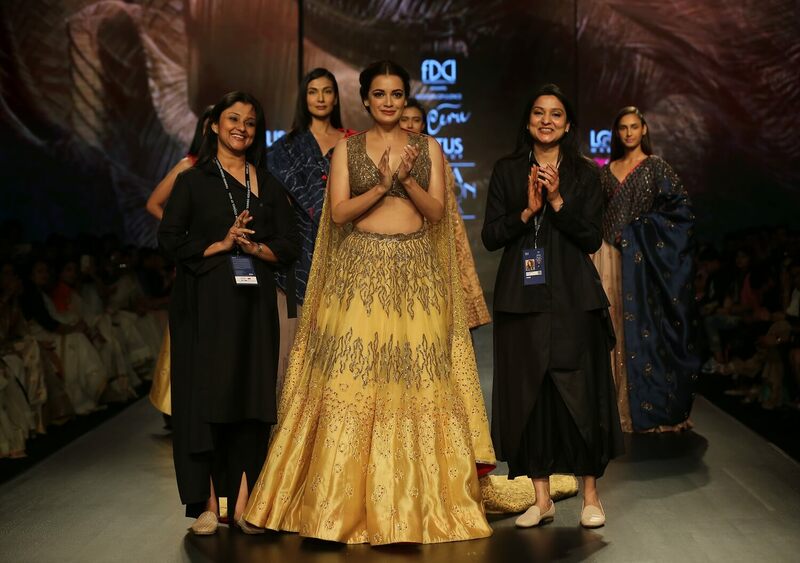 Dia has touched numerous lives through her charitable initiatives and is very vocal about issues on women empowerment and body positivity.‘Dia Mirza’s outfit was a sunshine yellow lehenga handcrafted with embroidered quilted panels hand stitched with sheer organza gored skirt. The blouse, on the contrast, was woven with embroidered panels made out of Peeta work with burnt and treated Dabka and Salma. The veil was constructed with quilted embroidered panels hand-stitched with organza filled with satin stitches and French knots teamed with gold sequins and beads. 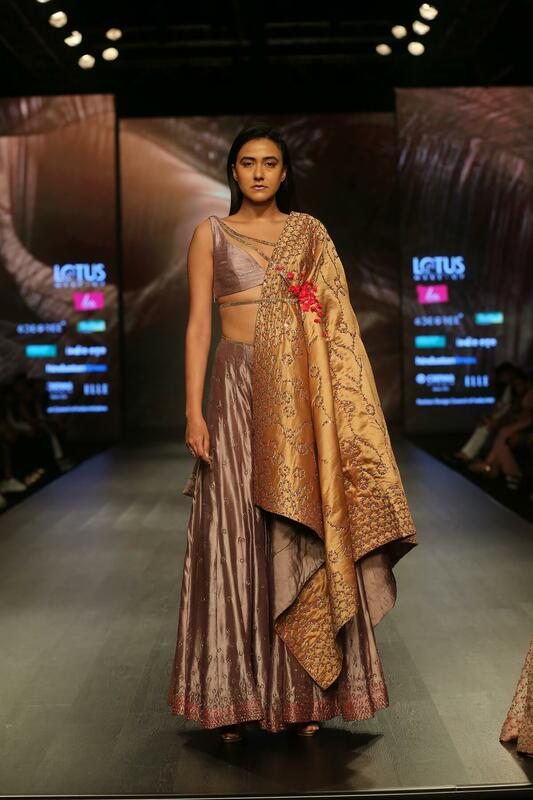 According to the Kolkata designer duo –Ruchi Roongta & Rashi Agarwal of the label Ruceru this collection tells the story of ordinary women who wear their scars and imperfections with pride. ‘I am’ is a phrase that is laden with a vast array of possibilities that women not only aspire to be but would also like to challenge. “I am” celebrates the flawed authentic woman who can be anything and everything. The collection was an attempt to debunk the idealization of beauty and encourage women to embrace themselves as they are. 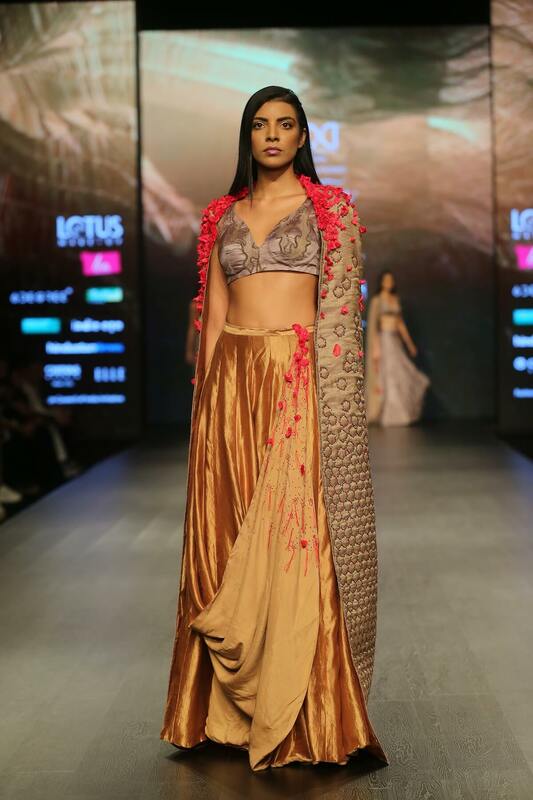 Bringing their thoughts to life, they have introduced beautiful fine embroidered warm dupattas, making the garments ideal for winter weddings, and likewise quilted lehengas and sarees to keep warm. It upholds the idea that more than the eyes of the beholder; beauty lies within. 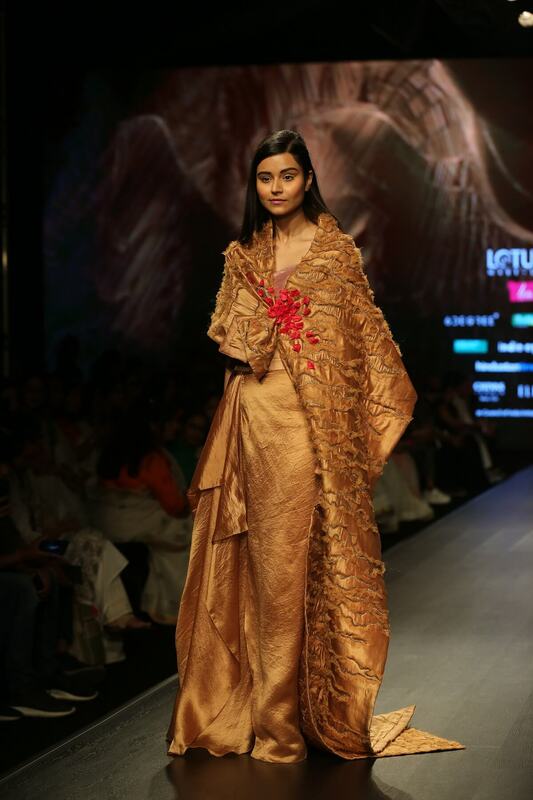 The collection features fabrics such as pure silk, silk dupion, organza, tissue chanderi with hand embroidered quilts lending it a luxurious feel. The rich tones of navy and grey depicted sorrows of one’s life, and yellow is the colour of the brighter days, champagne referred to the blurred line of these two extreme emotions. 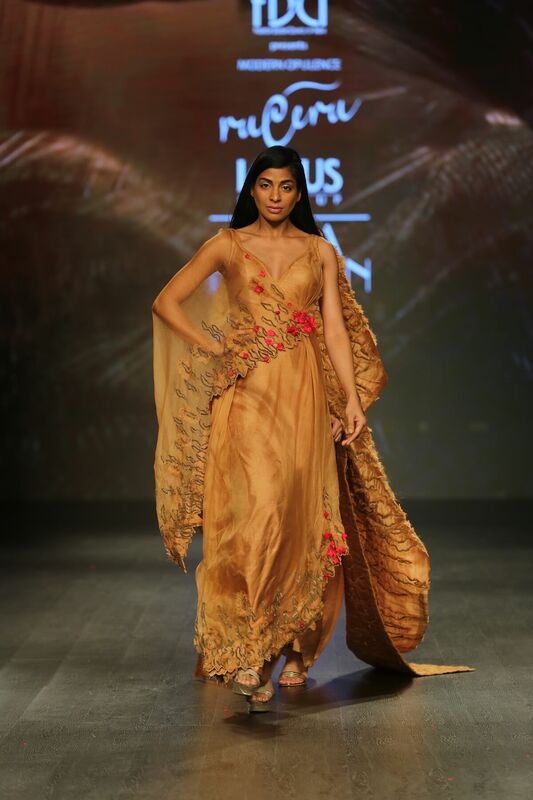 Ruceru, a brand launched in 2011 by the sister-duo Ruchi Roongta and Rashi Agarwal, is a fusion wear brand that creates contemporary ensembles for the urbane woman. The brand emphasizes on wearability and quality craftsmanship to create statement pieces. Their signature style includes deconstruction of traditional drapes and creative surface development techniques. 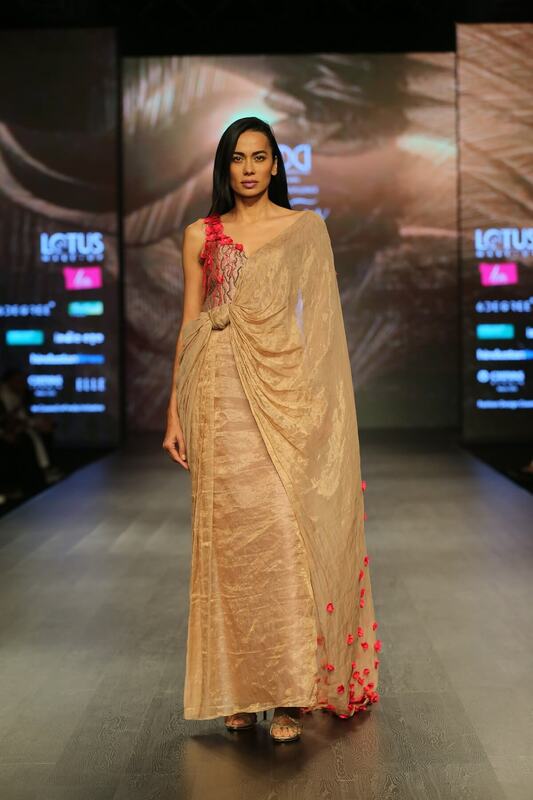 Ruceru creates fine drapes with flattering cuts which accentuate the body. 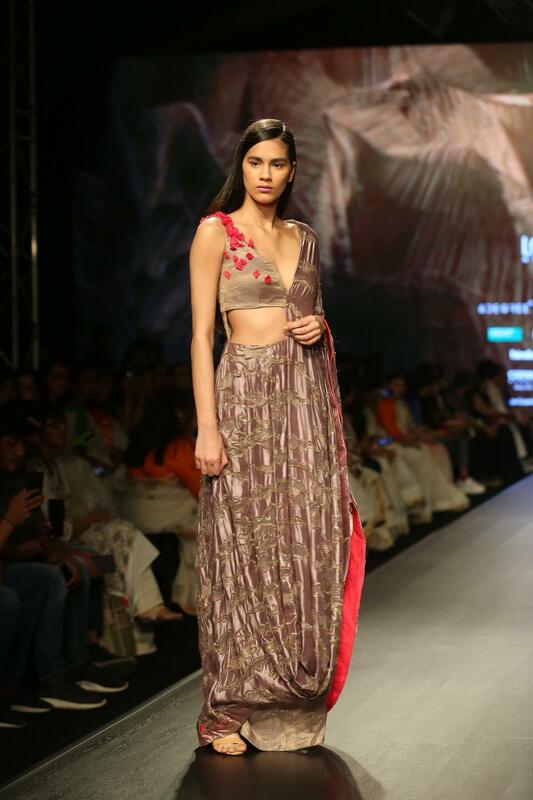 Every Ruceru piece depicts a certain kind of ease and effortlessness. 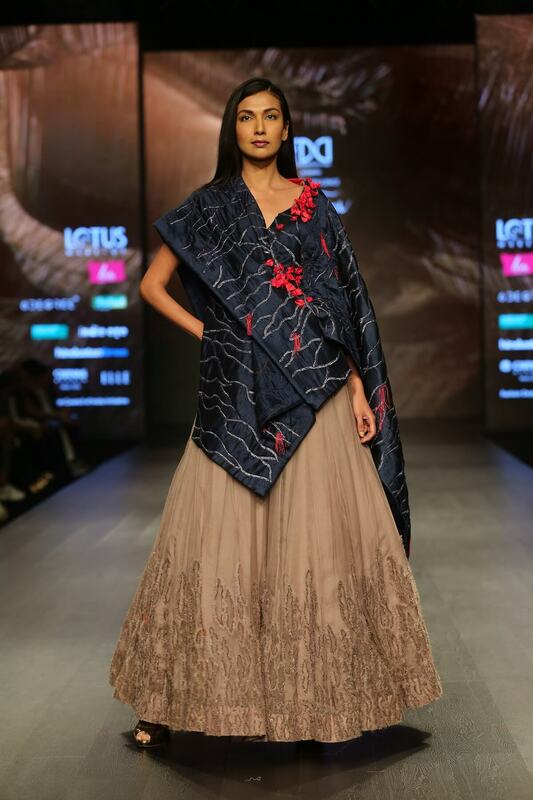 The brand works with fabrics like crepe, chiffon, silk satin, silk Habutai, and raw silk.